There are a few components necessary to achieve a well-styled entryway that's both functional and welcoming. 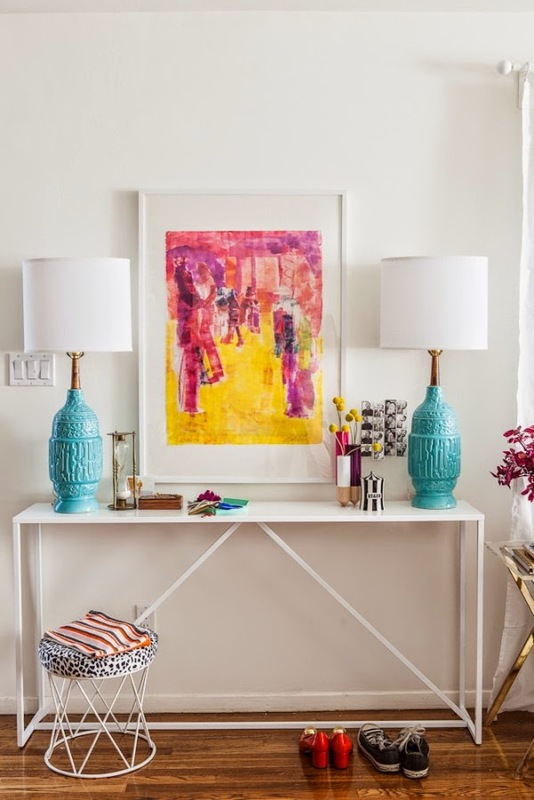 Depending on your style and habits, different formulas may work best for you, but these are my go to essentials for creating a stylish entryway in your home. 1) Surface. Notice I didn't say 'table'. 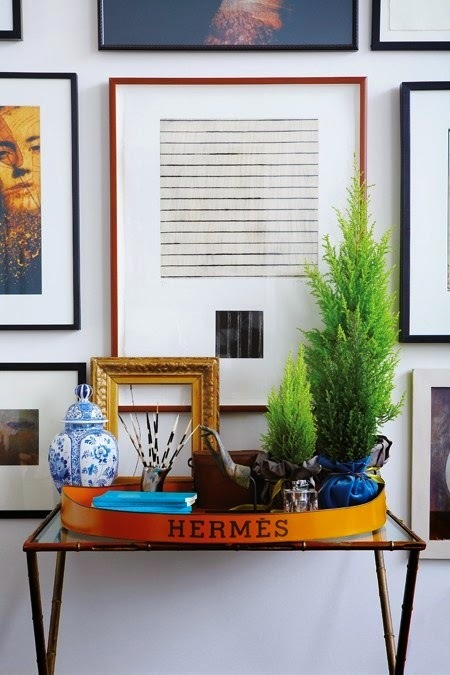 Not every entryway can accommodate a table - get creative and use a wall shelf or a plant stand for narrow spaces. If you've got the space, a console works great, or even a bench or dresser. Focus on finding a piece that fits your needs; ie. a dresser with drawers if you need extra storage. 2) Lighting. Your entryway is where you throw down keys, phone, mail, etc. You need to be able to see when you get in the door. 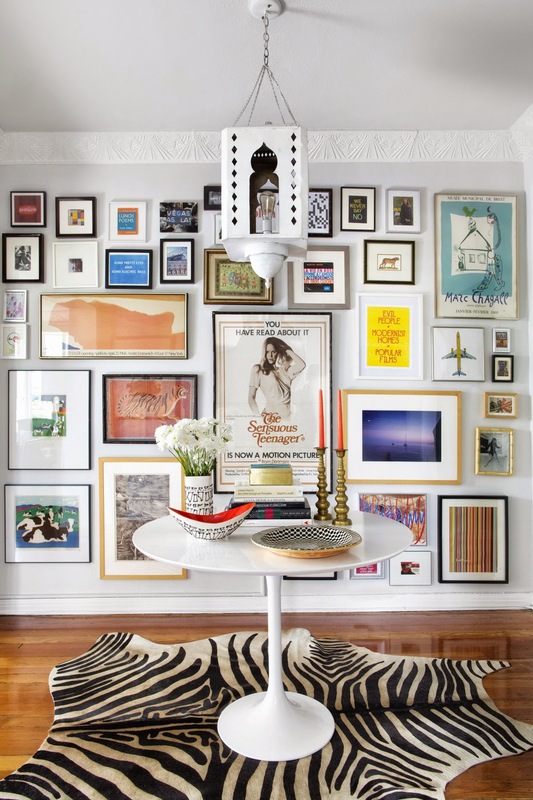 If you don't have space for a table lamp, think about a wall sconce. 3) Hooks. If you're ditching your coat, bag, scarfs, etc. at the door, you'll need a place to hang them. 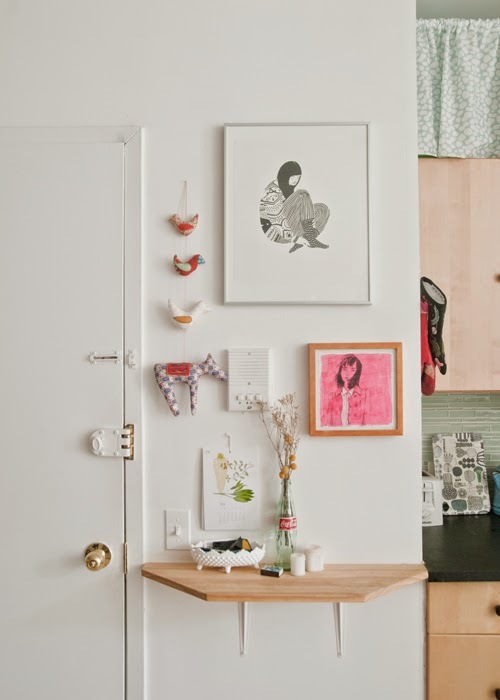 If you're short on space, add hooks to the back of the door. 4) Door mat or rug. 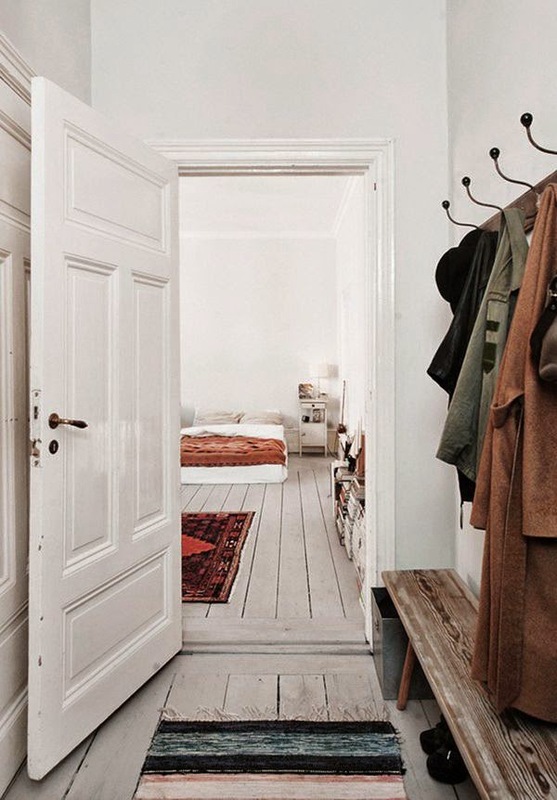 For smaller spaces, a door mat will be your best option. 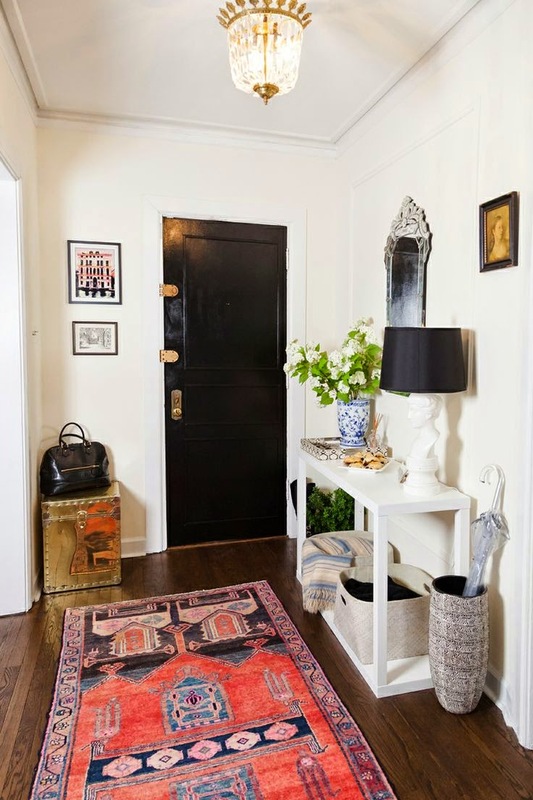 If you have room though, a larger runner can help to define the space and create a proper entryway. 5) Catch all bowl. Get in the habit of leaving your keys, phone, etc. at the door so you won't go crazy looking for them. 6) Letter organizer. This is a personal problem for me - I often come in and throw mail anywhere and wind up not opening important letters. Don't let your mail get the best of you. Rather than leaving mail all over the place, make a station for yourself in your entry. Keep envelopes, stamps, and your check book so you can easily take care of bills in one slot, any mail you're not ready to deal with in another, and outgoing mail in your last slot. I also like to keep a basket for recycling junk mail on the spot. 7) Tray. Corral your mail station, catch all bowl, sunglasses, etc. in a tray to stay organized. I'm of the opinion that you can never have too many trays - they are beyond useful and a quick way to make accessories and general "stuff" look intentional. 8) Mirror. 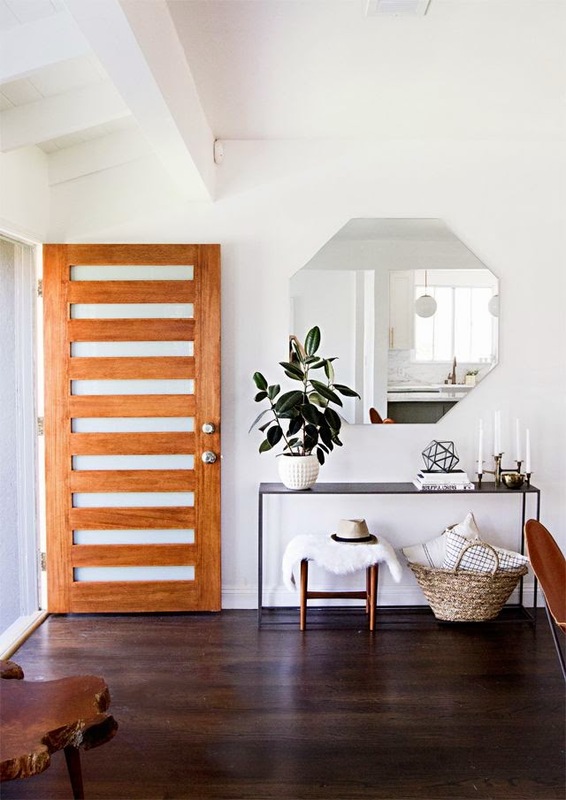 While not necessarily a true 'essential', if you have the room, mirrors are great for last minute touch ups as you're heading out the door. They have the added bonus of making rooms appear larger and also reflect light to brighten up your space. Other great additions are plants, artwork, baskets, stools, decor accessories like books, candles, jars, and other miscellany. 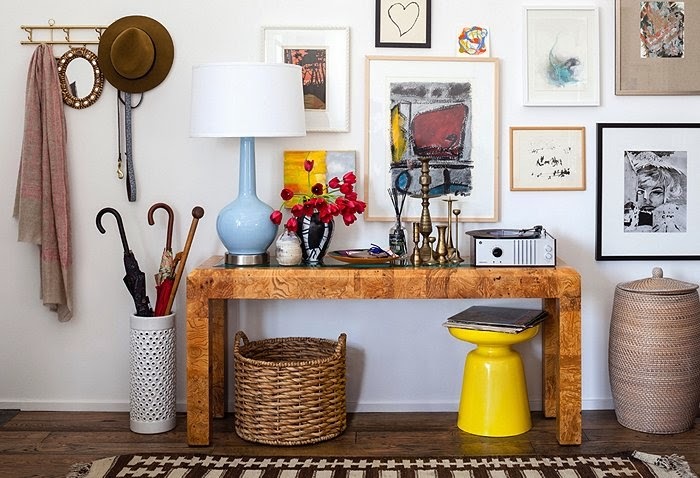 How do you style your entryway?